All natural, unscented, vegan soap. Category: Chaga Products, Natural Soaps. Tags: buy chaga soap, buy natural soap, chaga soap, chage soap for sale, natural soap for sale, natural soaps, soap, wild chaga soap. A Plain ol’soap infused with wild fungi. 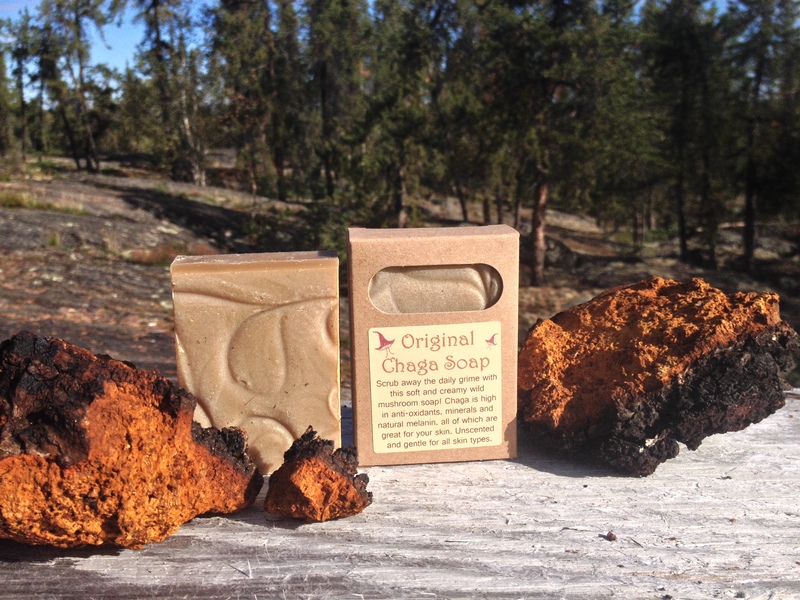 Wild Chaga Fungi Soap is for Chaga lovers! Wild Chaga Fungi is known to be high in melanin, and rich in antioxidants which is great for the skin. Otherwise it is a plain old soap with no scent. Three main ingredients: Extra virgin olive oil, and virgin coconut oil and Wild Chaga fungi. Your friends will certainly wonder when you explain to them that you wash with a wild mushroom soap! Our handmade Wild Chaga Fungi Soap is recommended for those with skin sensitivites (especially psoriasis and eczema). It is our most gentle soap with no added fragrance or colour. It has the nicest lather of all of Laughing Lichens soap varieties. 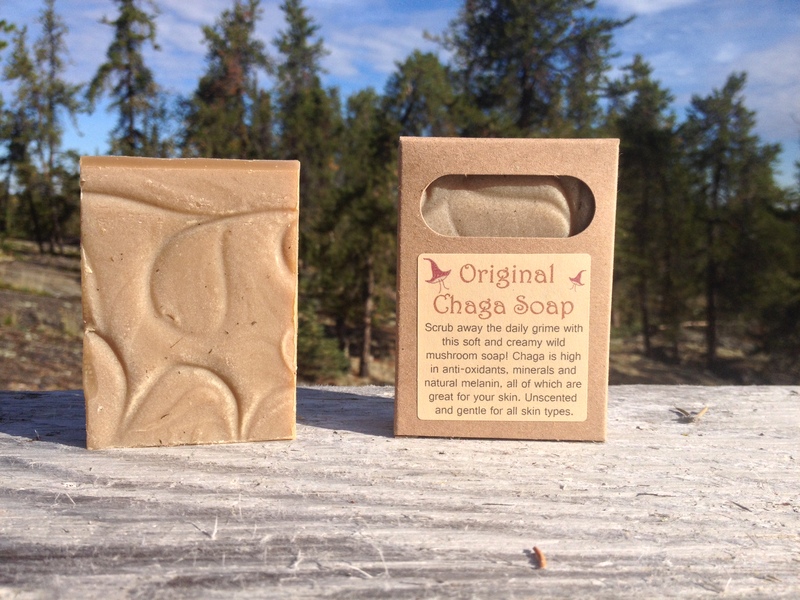 The wild Chaga fungi used in this soap is hand harvested bu Laughing Lichen in Canada’s Northwest. This is one of my favourite soaps as my skin gets quite dry and sensitive in the winter, especially since moving to Kamloops and trying to survive the super dry air. It’s been a lifeline.